You are here: Home / Sponsored / National Fire Prevention Month! Household fires are all too common, with a fire department responding to one every 24 seconds on average, according to The National Fire Protection Association. October is National Fire Prevention Month, so now is the time to protect the home against fire safety hazards. Learning about the newest smoke and carbon monoxide alarms and how to operate a fire extinguisher can help keep your home safe from fires. There are three fire safety must-dos to help protect your home. According to The National Fire Protection Association, two thirds of residential fire fatalities result from fires in homes without working smoke alarms. Smoke detectors are important and have come a long way! Some kitchen alarms distinguish between cooking and fire smoke to detect real fires faster and reduce false alarms from cooking. 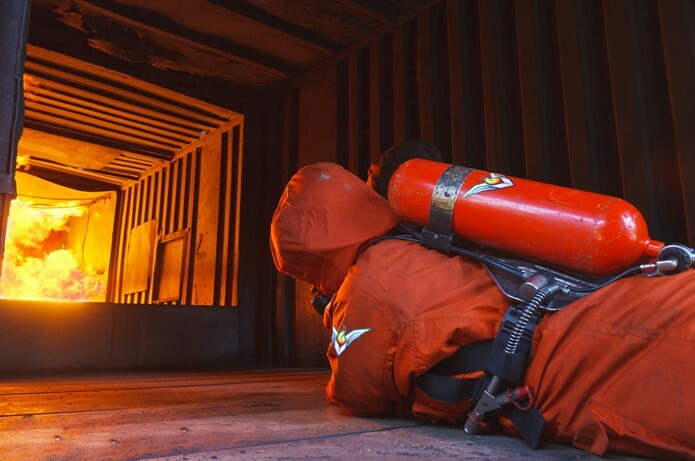 Fire extinguishers effectively put out 80 percent of all fires according to a study, so make sure you have at least one on every level. According to the Federal Emergency Management Agency, it’s important to make a plan, so everyone in your house knows the best escape routes. Choose an outside meeting place (i.e. neighbor’s house, mailbox, or stop sign) a safe distance in front of your home where everyone will know to meet. After making your home fire escape plan, practice it at least twice a year and make the drill as realistic as possible by aiming to get out in 5 minutes or less. If you have a multilevel property, have an escape ladder handy to drop out the window and create an emergency exit. Choose a ladder that requires no assembly and has a tangle-free design to get out of the house fast and easy. 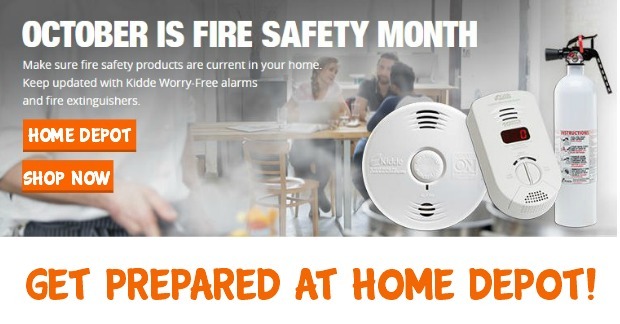 During National Fire Prevention Month, Home Depot will also be having an in-store experience that will help prepare your home in the event of a fire or carbon monoxide threat. Go to workshops.homedepot.com for more information about what we are doing in stores and to register in advance.